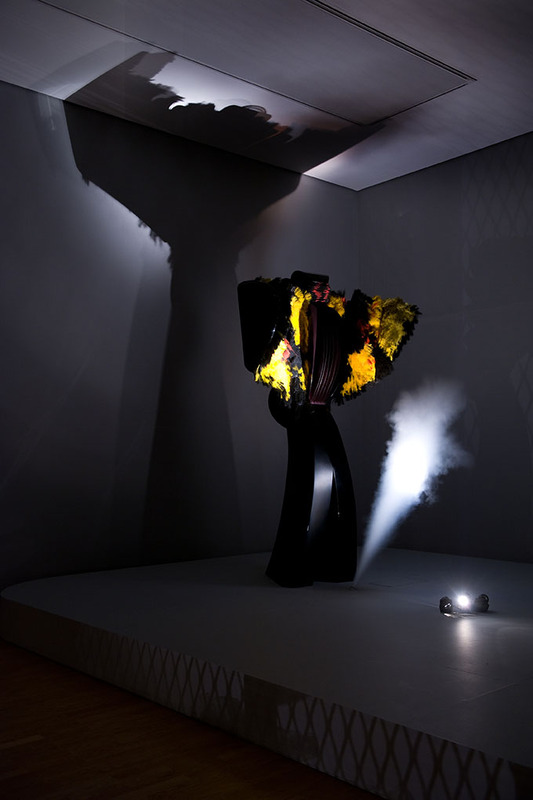 Painted steel and aluminium, synthetic fibres, glass prism, aluminium mesh, audio system, 5 milliwatt helium laser, smoke machine, computer. Lijn was walking across the Place de la Bastille in the autumn of 1982 when the first words of a song came to her at such a pace that she hastened to look for a piece of paper and a pencil to scribble it down as she walked. In May Lijn returned to Paris to give a performance at the Pompidou Centre of songs from Crossing Map. Although Lijn was lured by the excitement of live performance, she was already thinking of making performing sculptures. 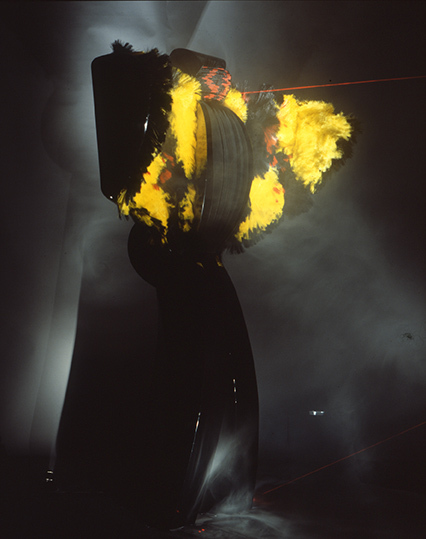 Woman of War is controlled and activated by a computer. The song, in which Lijn spoke with a violence and anger that she didn’t know was her own, generated the form and actions of the sculpture. Lijn felt as if the earth was singing through her. 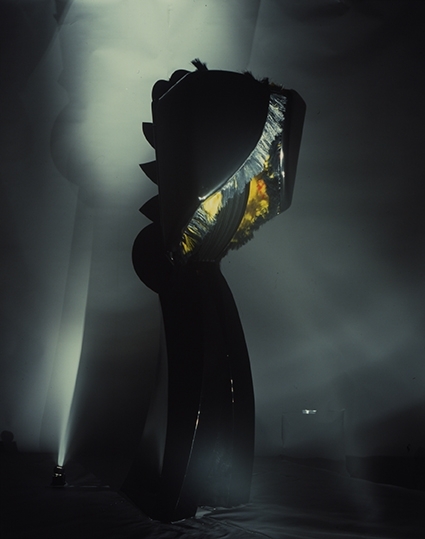 Lijn gave the body and head of the sculpture a more complex form. 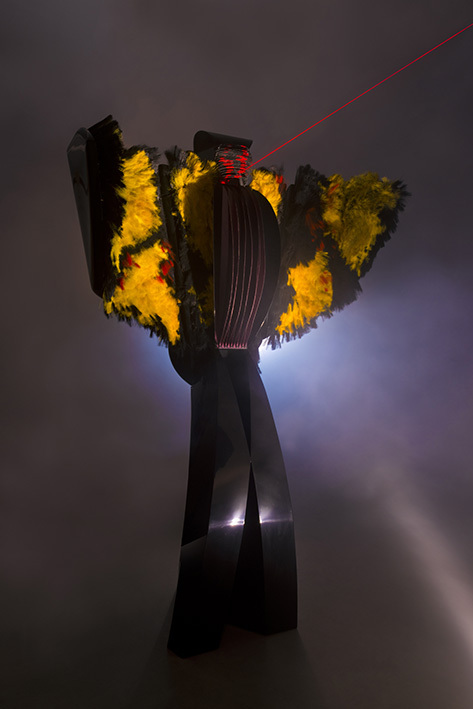 She wanted the sculpture to come alive and decided that it would enact the drama of the song. It then became apparent that Woman of War would sing to Lady of the Wild Things which would respond to the song with light.